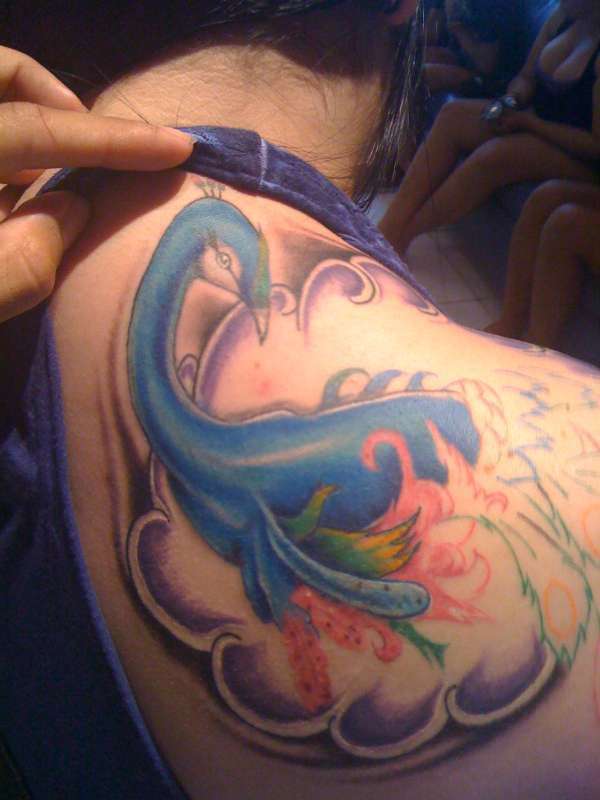 My tattoo artist Gadiel Mercado saw my peacock tattoo (see other pics for before and after) and absolutely hated it. He offered to fix and finish the tattoo and now I absolutely love it!!! Next thursday is my next session! Gorgeous! Beautiful colours, really nice tattoo. (I was briefly distracted by the massive cleavage in the background though lol!). Looking forward to seeing it afetr your next session! I love going to the zoo and taking photo's of peacocks...love your ink!